← Having Doubts about the Effectiveness of Immersion? We are all heroes here at JALUP of our own awesome Japanese adventures. 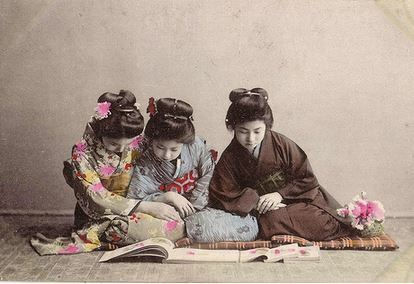 Each of us has the power to tackle and tame Japanese. A gatekeeper for many of us is anime—many of us started our journey with it and still love it, but sometimes find it hard to walk away from those subtitles. Subtitles are crack—walk away from the crack– and become the kind of heroes we all love. To help you on your way to being a more awesome anime hero, I want to show you some of my favorite training grounds, “Japanese in Anime and Manga.” This little tool is the brainchild of the Japanese Foundation and allows learners at any level to get some serious power-ups! 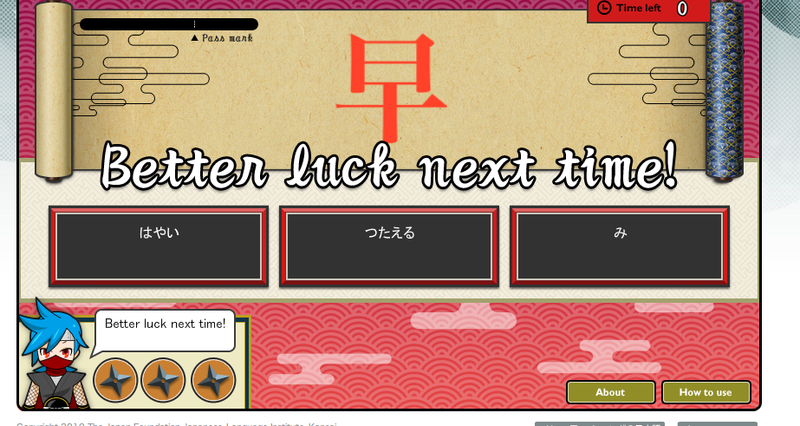 This is site provides 4 different services: Genre Expression, Manga Example, Word Quiz, and Kanji Quiz. Each of the 4 services comes in many board genre flavors: school, ninja, love and samurai. 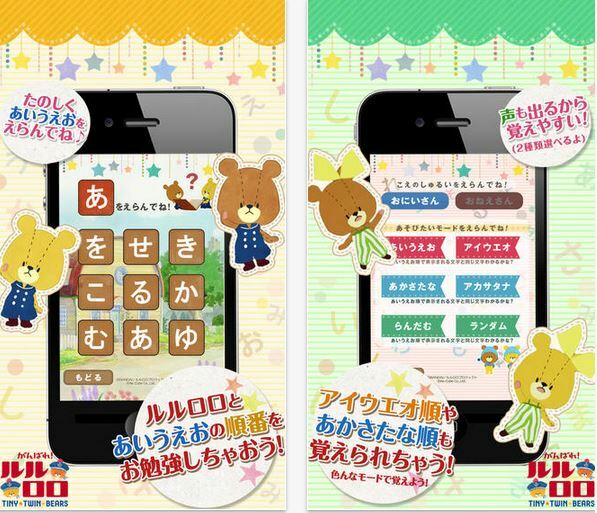 During every step of the way, information is available in English, kana only, or kanji and kana, thus making it accessible no matter what level you are at. Perhaps the most interesting feature is the Genre Expression, which identifies 8 distinct character arch-types: boy, girl, scrapper（tough guy), samurai, old man, (elite) lady, butler and Osaka-ben. 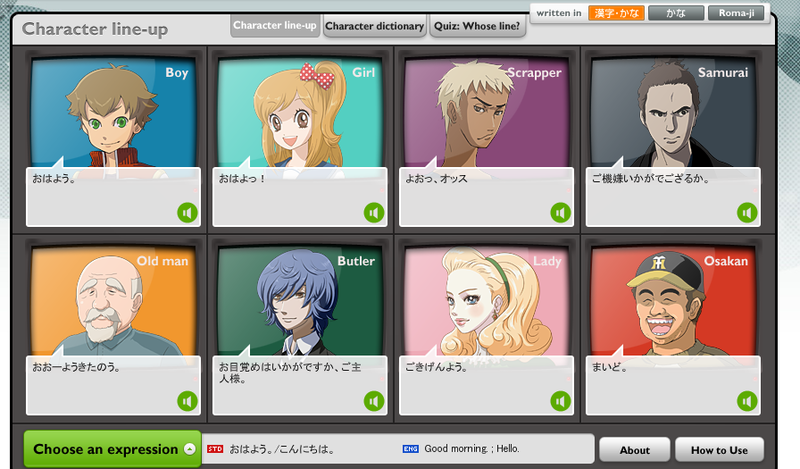 For each arch-type, a character dictionary was made containing different sentence patterns, explanations, examples, manga illustrations and voiced examples. There are 3 ways to access the material. These could make interesting adds to your anki deck! First is through the character line-up. To begin, you choose a phrase and the different ways each arch-type would say the phrase are displayed. This example is for the phrase “Good Morning.” It allows you to compare and hear the different speaking patterns. Second you have the character dictionary, where you can choose an arch-type and look in detail at specific phrases, grammar choices, speaking style, and examples. A close up of a grammar example is shown in the second picture. Third is the quiz function, where you are presented with various lines of dialogue and you must identify the source. To begin, you select a manga genre and enter the reader. The following example is from the school manga. Each manga is about a 20 page read. You can click on the speech bubbles and the sound words, which highlights them and causes them to appear with translation and grammar or culture explanations at the bottom. These are amusing reads and include full cast recording for every line and sound effects. You begin by picking your genre of choice. After, users are presented with various difficulty options. When you select a level, you take a multiple-choice quiz of 10 questions. When you finish, you can check your answer for each question and gain access to a page that will tell you how to use it with fully illustrated examples. You then can continue you on to the next level. The kanji quiz has two settings: novice and advanced. It offers several angles to study kanji from including meaning, reading, and search. I have noticed that a lot of the kanji meanings used are similar to RTK. This can be a fun tool to test your reading or sight recognition. This is an example from the novice kanji reading. The target question appears on the scroll and comes flying at the screen. You must chose the correct reading before time runs out. Points are determined by how fast you get the correct answers. Users have 3 hints they can use at the bottom in the form of throwing stars. This game is quite entertaining as you have to beat out the clock and get a certain point total to reach the pass mark and so be able to continue to the next level. Before we can win the battle (enjoy anime without subtitles), we must head out to the mountain, training gym, or arena (or insert your own awesome level up place) and throw our whole selves into it. This is one but of many pre-gaming exercises you can do. If you have a will, there is a way and the pay off is going to rock. I found this to be pretty entertaining and cute. Good find! This is pretty tangential, but would anyone happen to recognize the source of the manga that http://www.anime-manga.jp/ uses for its examples? As far as I know, the sources are all original here. They represent the most common denominators in those genres. I will double check my sources for you thou uvauva. Too bad it doesn’t have text version. Flash doesn’t work on my phone.